Get into grad school CHECK! And what a wild ride that has been. I was rejected from nearly every school I applied to...but got into the only one that really mattered to me. Complete at least two rounds of Kayla Itsine's BBG program I was really consistent about this and working out during the first half of 2016! I still continued to workout regularly for the rest of the year, but not seeing the same results. Start paying myself back I took a lot of money out of my savings in 2015 to pay for my prerequisite classes without taking out loans. This year, I created a weekly automatic deposit into my savings of $20 a week (or $80 a month), plus $1 deposited per debit card transaction. While I still dipped into it here and there for trips and whatnot, I still saved a good amount. Take at least 3 trips Ryan and I traveled to Asheville, N.C. at the end of last spring, and just came back from NYC a couple weeks ago! My hope for this past fall was to visit my friend at Vanderbilt in Nashville, but that's going to have to wait until spring time 2017. Go on more adventures with Ryan (and the pups!) We actually did get to go kayaking/paddle boarding in Weeki Wachee this past summer! Even if it was only once, that counts as an adventure. We took all the hikes in North Carolina, made a conscious effort to go out with friends regularly, and even took a trip to the beach in the middle of the school/work week. While the pups didn't go out and experience much (they're a little crazy with other humans...), they still got all our lovin'. Drink at least 8 cups of water per day I didn't keep an accurate count of this, but I used my Yeti tumbler on the regular, which I think counts for something! I'd say some days were better than others, but I definitely upped my water intake this year. 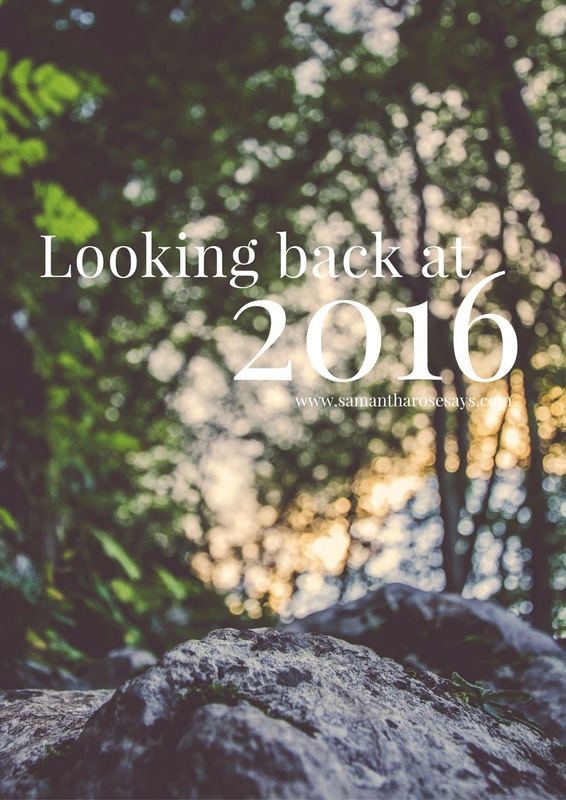 What goals did you set for 2016? Did you meet them? Or kinda forget about them but still achieve some of them like me? Hello, friends! I hope everyone had a splendid Christmas, and I hope my Jewish friends are enjoying their celebrated nights of Hanukkah. I actually lit a few candles last night and attempted to sing the candle lighting prayer (in Hebrew...what a sight that was). My Christmas was spent with Ryan's family with two Christmas Eve dinners, eating prime rib at midnight, drinking strong sangria, watching silly movies, and simply relaxing. While Santa (ahem, Ryan) and I opted to stay humble with our presents this year, I received some very thoughtful gifts, so it's safe to say that I am one happy girl. 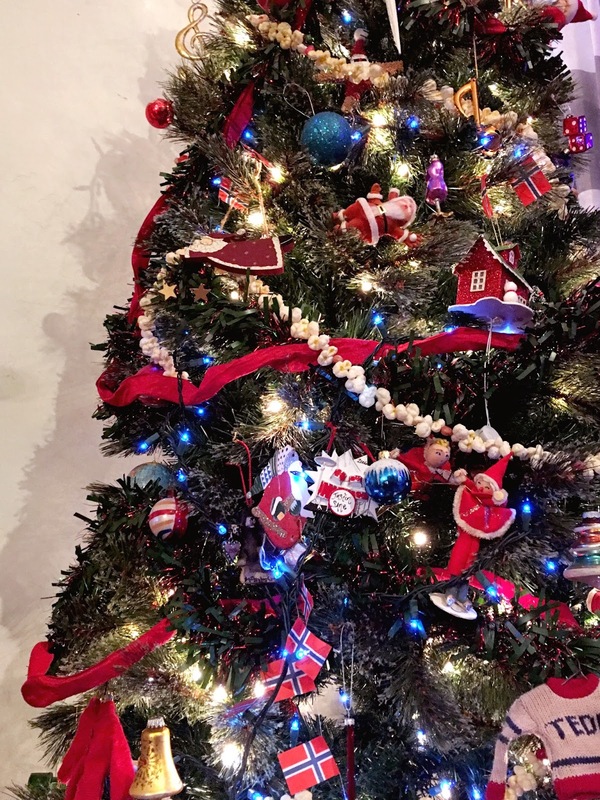 Something felt a little bit different about the holidays this year, and for awhile, I couldn't put my finger on what it was exactly. Now that all the hustle and bustle is over, I'm realizing it's because I'm actually looking forward to getting back into the swing of normal living, whereas in the past, I wanted to live in the magical world of the Holiday Season forever. This year, I don't feel like I need a "break" or "vacation" from real life (although I'm still loving on winter break! ), because I'm genuinely happy with where I am, who I'm with, and where I'm going...and that's a great feeling. I am definitely looking forward to 2017. And on that note, it's hard to believe that I head back to school in just 13 days. I plan on doing a whoooole lot of relaxing between now and then, and I hope to savor every waking (and sleeping) moment of it. How was your holiday weekend? Any fun plans for NYE? For me, Christmas isn't about presents. It's hardly even about family and surrounding myself with the people I love most. - La Marca prosecco. Hands down my favorite prosecco. This is the perfect drink to sip while chatting with the fam before dinner. I've tried a whole lotta sparkling wines, and this is by far the best in my opinion. PSA: it's cheapest at Total Wine & Costco. Like, $4-5 cheaper than you'd find it at a regular supermarket. - Holiday sangria. I've never made this one before, but I'm excited to try it out on Christmas day. Since, you know, samgria is kind of my thing. - Sunday brunch casserole. I've been eyeing this recipe for awhile now, and what better time to try than Christmas morning! It only takes 20 minutes to prep, and 45 minutes to bake. Color me sold. - Cinnamon french toast casserole. Another recipe I haven't made yet, but I obviously need it in my life. I can't remember the last time I've even had a regular cinnamon roll, so this sounds like the ultimate decadence. - Crock pot maple brown sugar ham. I've made this bad boy for three Thanksgivings in a row, and it never disappoints. Hint: after it cooks in the crock pot, plop him on a baking sheet and broil until the edges turn brown. - Stuffing. I feel like you either love or hate stuffing, and for me, it's love love love. This recipe may appear to be pretty "basic," but it's hands down the best I've ever had. - Sugar cookie truffles. My friend and I made these whilst watching Christmas movies earlier this week, and we were instantly thrown into the holiday spirit. Note - do not add a whole brick of cream cheese. But if you do, just add more cookies. A lot more cookies. - Oreo truffles. If chocolate is more your thing, you'll die for these. I made these last Christmas and they were a huge hit. So rich, but so worth it. And the absolute easiest to make. What's on your menu this weekend? Christmas is the day after tomorrow, guys! HOW? Like many, I absolutely adore the holidays. I love the twinkling lights and decor, the excessive amounts of food to be consumed, the cheesy movies and classic carols - but most of all, I love the traditions, and that every family has different ones. Over the last few years, my holiday traditions have changed drastically. Because my grandparents don't come down for Christmas anymore (they drive down for Thanksgiving instead!) and because my parents aren't huge on holidays, and because my sister and brother-in-law live in Bulgaria, I've spent the last three Christmases in Fort Myers with Ryan's family. Let's get real...at this point, they're pretty much mine, too. 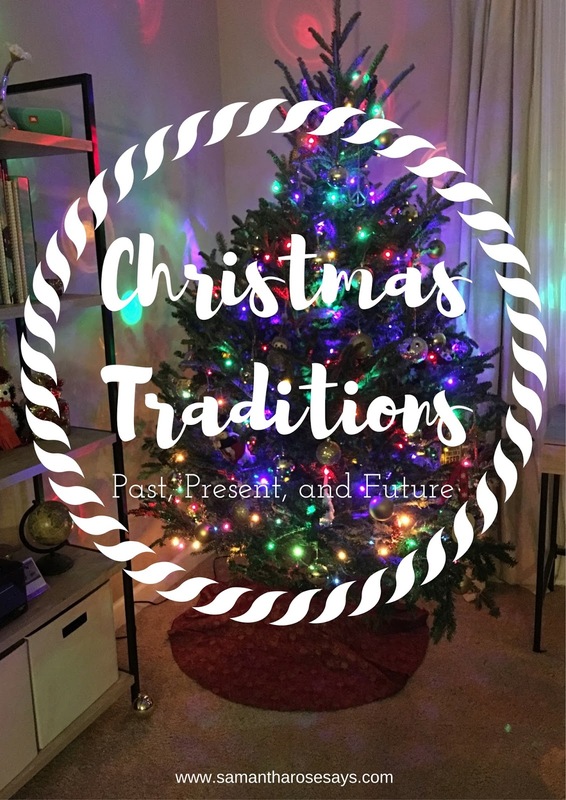 I love reading about everyone's holiday traditions, so I thought I'd share my own: past, present, and future! Setting up the Christmas tree on Christmas Eve. Because my grandparents always came down for Thanksgiving, my parents would trade off by driving us all up to St. Augustine for Christmas celebrations every year. 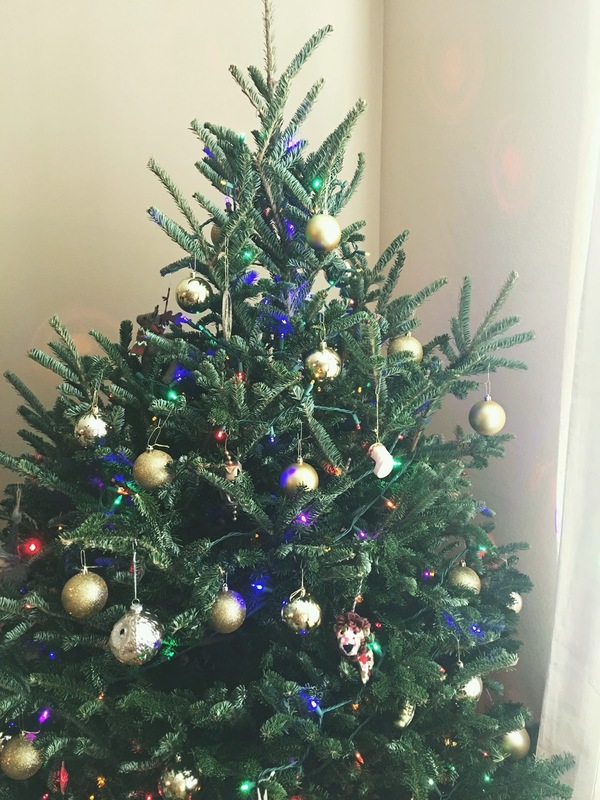 Immediately upon arrival on Christmas Eve, my grandparents would break out their fake tree (from the 1960s...which we still own, much to my grandad's dismay), and we would decorate the tree with our handmade ornaments and multicolor string lights. Waking up in the middle of the night to see what Santa brought. Nothing brought more joy to me as a child than waking up at 3 a.m. to go to the bathroom, tip toeing into the living room instead, and picking up each and every present under the tree. I'd scan gift tags marked with my name, and marvel at the special wrapping paper Santa used, and then I'd just sit back and stare at the twinkling lights for just a few minutes more before heading back to sleep. Celebrating Hanukkah, too. I was supposed to be a Jewish baby, you know. I was supposed to grow up going to synagogue, reading the Torah, etc etc. My dad was (is?) Jewish, and used to be so religious that he even considered being a Rabbi once (for anyone who knows my dad, this is hilarious). Anyway, because my parents wanted me to grow up at the very least knowing about my Jewish heritage, I got to celebrate both Christmas and Hanukkah. Presents under the tree and eight straight nights of gifts? What a life. "Find the nut." 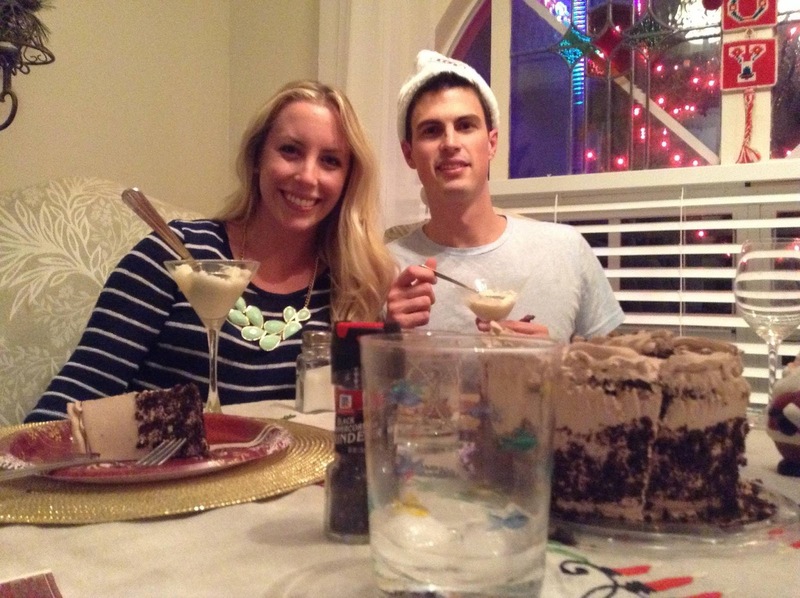 Every Christmas Eve after dinner, Ryan's mom makes a small bowl of rice pudding for each member of the family. In one bowl, she hides a walnut, and distributes the bowls of pudding at random. Whoever finds the nut in their bowl wins a prize! Usually the prize is some kind of chocolate or yummy goodie. Opening presents on Christmas Eve, and stockings on Christmas Day. Rather than waking up early on the 25th and immediately opening gifts, we open ours after dinner (and finding the nut!) on Christmas Eve. Everything under the tree is revealed that night, while our stockings magically fill overnight. Ryan's mom is the cutest, and fills ours to the brim with random gifts and treats. Samgria. After Christmas morning shenanigans, Ryan's fam and I hop into the car and drive 45 minutes south to Naples to visit his dad's side of the family to eat, drink, and of course, be merry. Between his five cousins plus significant others, aunts and uncles, and family friends, it's a full house. My first Christmas with the Fredericks came about just a few weeks after me and Ryan "officially" started dating, so I wanted to impress the masses. Thus, I made sangria. They all loved it, and called it "Samgria." Needless to say, I can't disappoint the family, so I make some kind of sangria every year. Host a Christmas cookie exchange. Learn more about my Jewish heritage so I can celebrate both Christmas and Hanukkah with my future children, just like I was able to do. Decorate our house with lights. Volunteer at a shelter and/or "adopt" a family or child in need and buy presents for them. And for your viewing pleasure, a little throwback of the last three Christmases as a couple. Because 'tis the season for a little mush. 2013 - Featuring bright blonde hair, a weird middle part, and no eyebrows. 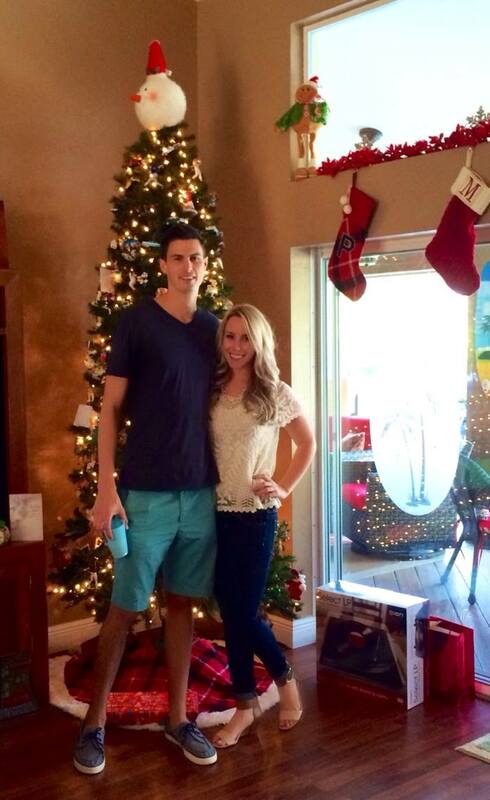 2014 - Featuring a good hair day, a cute outfit, and a boyfriend almost as tall as the rotating Christmas tree. Clearly a good year. 2015 - Featuring dark hair, blue lights for an ode to Hanukkah, and Ryan voluntarily showing me affection for a photo. What are some of your family's Christmas traditions? Have you added any over the years? Right now, the strangest feeling is knowing that I have absolutely nothing that I should be working on. No required readings, no quizzes, no treatment planning. 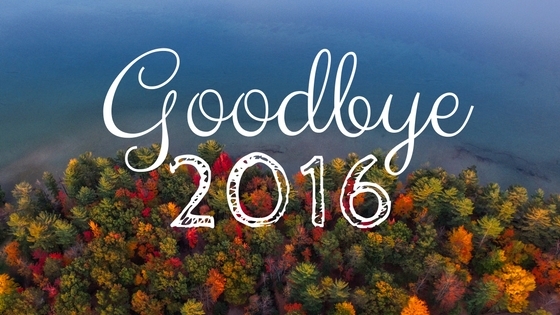 I am a free bird until January 9th, and I'm not entirely sure what to do with all this newfound freedom. Just kidding, I do. I want to paint with my watercolors, hit up the gym five times a week, make all the monies at work, bake, catch up on all my TV shows, and of course....read for fun! It's been a hot minute since I've really gotten into a book, but I lugged my library copy of The Husband's Secret by Liane Moriarty to New York, and absolutely devoured it during every second of down time I had on the trip. Thus, the other night I felt inspired to fill my library request queue with 16 books! I already have four books ready for pick up tomorrow! AH. I'm still in the midst of reading Sweetbitter by Stephanie Danler, but I'm losing interest in it. Has anyone else read it? Should I abandon ship, or does it get better? What's on your reading list? Have you read/loved/hated any of the books on mine? MY FIRST SEMESTER OF GRADUATE SCHOOL IS IN THE BOOKS! I can't believe I'm officially finished with my first semester. One down, five more to go. Totally not intimidating at all, right? Wrong. But I'm trekking through, and these last four-ish months flew by. After turning in my last final (a two-case study assignment which had absolutely zero rubric posted until the day before it was due), Ryan and I hopped on a plane and made our way to New York over this past weekend to visit some of his family, to see all things Christmas, and to celebrate Ryan's 30th birthday! As usual, the city did not disappoint, although it was cold. Like, hovering around 25-35 degrees at any given point throughout the day cold. Our Floridian blood was put to the test, that's for sure. Talk about my dream Christmas lights! I've heard some people look at these and think, "giant lipsticks?!" I do not get these people. There will be further photos to come, of course. Be sure to check out my Instagram, too! Alas, it was a wonderful weekend spent with some of my favorite people. I can't speak for Ryan, but I would say spending a 30th birthday in NYC is the best way to do it. How was your weekend? 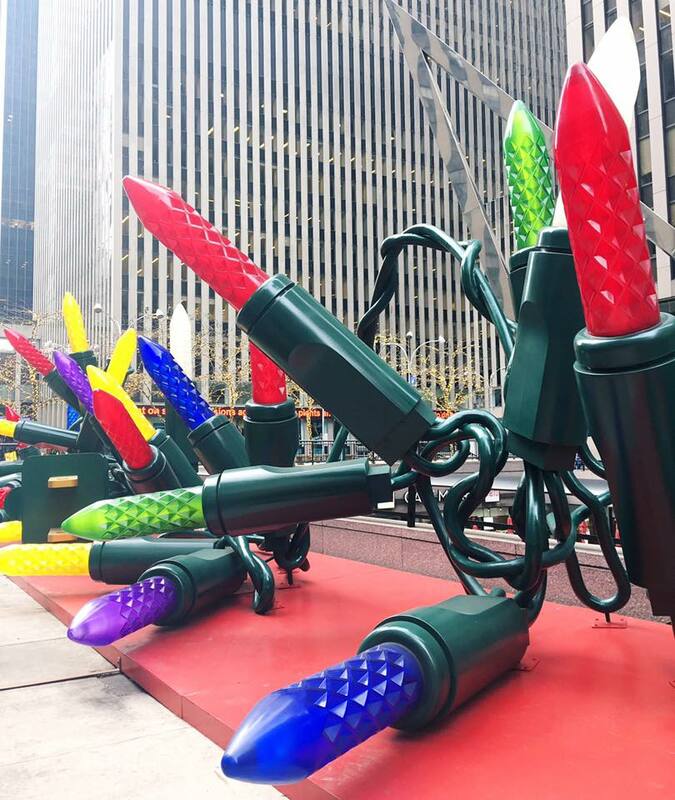 Have you ever been to NYC during Christmas time? 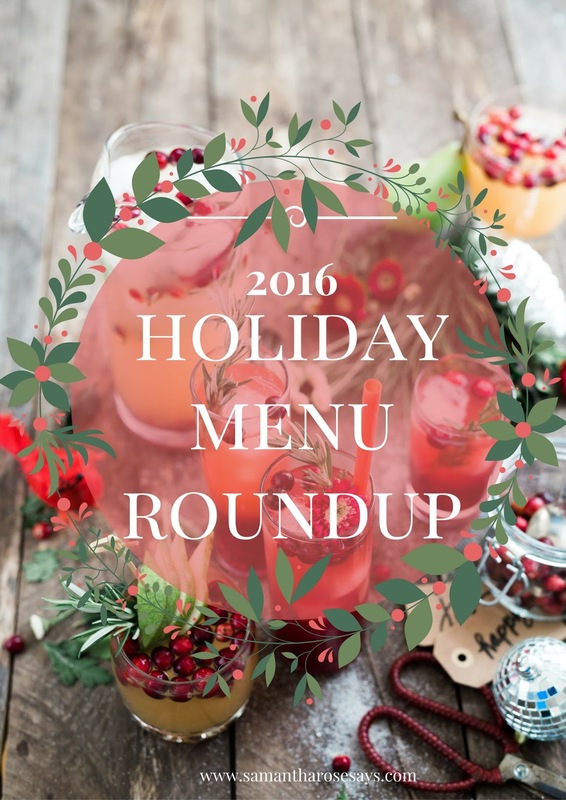 Hello, December | Bits of Tips & Joy to Keep You Sane and Festive. I know I'm a day late and a dollar short, but it's crazy to think Thanksgiving is already long gone (and it seems as though the majority of my Facebook & Instagram feed was more than happy to get past it and move on to Christmas). It's easy to get caught up in the hoopla of finding the perfect gift and participating in all the things, but for me, it's important to remember the small joys of the holidays. - A little home decor can go a long way. Buy an evergreen or spiced apple scented candle, throw a wreath on the door, string multicolor lights on your patio, and of course...set up your tree (or your Menorah, if you celebrate Chrismukkah like myself!). - Create your own traditions. My parents aren't giant holiday goers (although I did get to celebrate both Hanukkah and Christmas growing up!). When I was young, we drove up to my grandparents' place in St. Augustine on Christmas Eve, set up a fake tree the night of, and it was taken down by the 27th. Point of the story: I've never had a real tree. This year, Ryan and I decided to break the tradition...and we got ourselves a plump and precious real life Christmas tree! - Turn on some holiday music...the kind you actually like. I love a good classical Christmas song, but Lady Antebellum & Jason Mraz covers are my favorite. 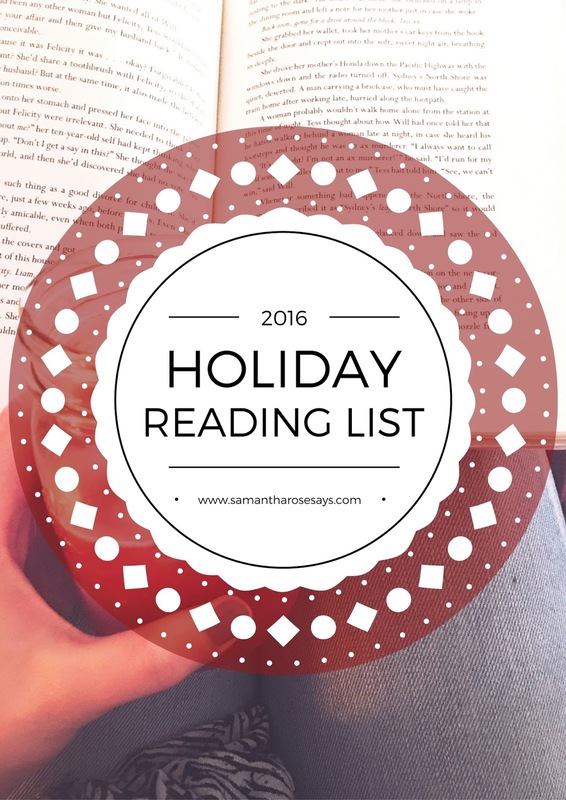 - Throw yourself into holiday related events. Have a cookie baking day with friends, head to a tree lighting, decorate ornaments, etc. Whatever tickles your fancy and makes you feel warm and fuzzy, do that! - Remember that it isn't just about gifts. Receiving gifts is fun, and it's the best feeling when you know you've given someone the "perfect" present. But stressing out about what to get, standing in lines amongst anxiety ridden crowds in the mall, and spending a certain dollar amount isn't what the holiday season is about. What are you doing to get into the holiday spirit?